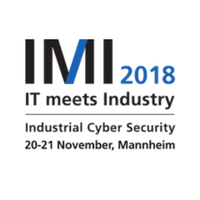 From 20-21st November, decision makers and IT professionals from the industry and critical national infrastructures are meeting at the Congress Center Rosengarten in Mannheim. Airbus CyberSecurity will again be present with a stand (no.16). Come and meet us at our booth to discuss OT-Security, from Maturity Check to Risk Assessment.